It’s official, after a really tough, cold winter Spring is finally here. Even in winter there are usually a few good paddling days but this winter was different. Water access was difficult if not impossible with the bays mostly frozen over. Then came the relentless winds sometimes gusting up to 30 knots. So now it’s time to plan the trip schedule and that’s the focus of our April meeting. With the arrival of Spring also comes the Jersey Paddler Kayak Show this weekend March 29, 30, and 31st. It’s held at the 70,000 square foot Garden State Exhibition Center in Somerset, New Jersey. 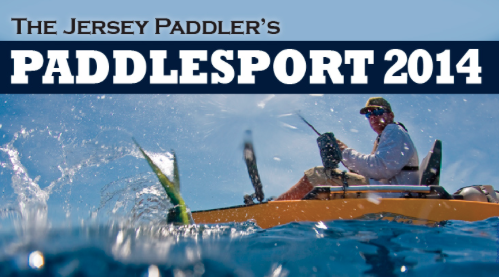 Paddlesport 2014 is the largest canoe, kayak and standup paddling show on the East Coast. The show features manufacturers of kayaks, canoes, accessories, sportswear, paddling clubs professional instruction and expeditions, as well as lectures and video and slide shows of paddling trips, expeditions and paddling techniques. If you’re a paddler or just thinking about paddling this is the place to be. North Atlantic Canoe & Kayak will again have a booth staffed on all three days of the show so stop by and say hello.